After attending the Cheltenham Literature Festival last month I was determined to read one of Gunnar Staalesen’s books. They’re not easy to find in the UK. His publisher, Arcadia Books, has recently been bought out of liquidation and the company is likely to be relaunched next year. It remains to be seen if Staalesen will still be on their list. However most of this writer’s English translations are easily available from Abe Books and the consensus from a straw poll of other crime fiction bloggers was that I start with The Consorts of Death. Private investigator Varg Veum receives a phone call from a former colleague from his days as a social worker. A boy that they have been involved with over the years is on the run after murdering a man, and he has a list of people who he believes has ruined his life. Varg Veum is on this list and he is warned that ‘Johnny Boy’ may be out to exact revenge. The book then goes back in time documenting each of Veum’s interactions with the disturbed child, from 1970 when the two year old is taken into care, in 1974 when a foster parent dies suddenly and in the 1980s when Johnny Boy is the suspect in a double shooting. Finally the book returns to the present day and Veum grasps the truth that has been alluding him. 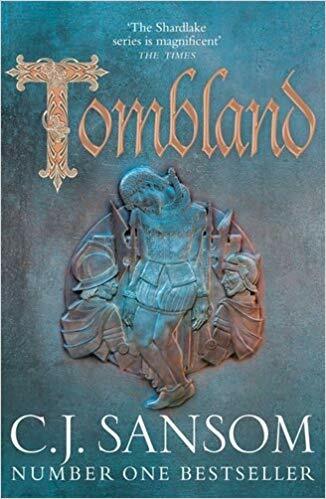 The book is the thirteenth novel in the Varg Veum series and the protagonist has a solidity about him which is almost certainly a reflection of his development over previous books. It’s an interesting idea, that of a social worker turned detective and I thought the historic scenes, of Veum working for social services, very convincing. 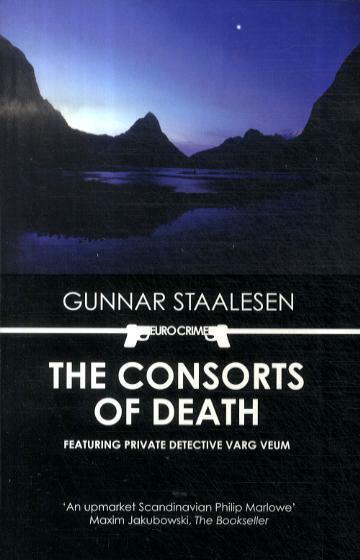 Consorts of Death was originally published in Swedish in 2006 which I found quite surprising as the story had a slightly dated feel to it, although this could have been because much of the narrative took place in the 1970s. The plot was an interesting one and told with an admiral restraint. No overblown scenes or melodramatic dramas but a solid story told well. I could see a clear link between some of the issues highlighted in the Maj Sjöwall and Per Wahlöö Martin Beck series and those highlighted here. Sadly the issue of child neglect and the failures of foster care have a universal resonance. I’m going to try and track down other books by Staalsen and hope that some day the whole of the Varg Veum series reaches an English audience. Consorts of Death was translated by the excellent Don Bartlett. I bought my copy of the book. Other reviews can be found at Eurocrime, Petrona and in the Independent. Another top review and another author to add to the list! Sarah – A very fine review, for which many thanks. I’m really interested in the idea of a social worker as the sleuth too. It’s a really plausible premise actually. Did you get the sense when you read this that it would be best to explore this series in order, or do you think one can dip into it here and there? Margot – I think given that very few of this author’s books have been translated, this is as good a place as any to start. Perhaps someone who has read more of Staalesen’s books may have better advice. Thanks for the input, Sarah. Lovely review, Sarah. I really like this series- I have read the earlier translated ones (not that many), and the author has made them leaner since. Consorts of Death is not that short as it has so many time periods in it, but the first book I read had an awful lot of thoughts/internal discussions which slowed the pace. I do hope that more get translated as I think the series is highly under-rated (it is very popular in Norway and there’s the TV series) – and it now has the superb Don Bartlett translating it, another plus. Interesting to hear that some of the other GS books might not be up to this standard Maxine. It would be nice to have his complete body of works in English to made the comparison. Very good review. I’ll put this on my TBR mountain range. I’ve read about this author at other good blogs, and will now add his name to my growing list. Do you know anything about the TV series? It’s available here through MHZ Networks, which has dvd’s of Irene Huss, Salvo Montalbano, Guido Brunetti based on TV shows. I’ve heard there’s a TV show Kathy but not seen any episodes. It would be great if it was shown on UK TV.